Dimensions: 4 x 5-1/2 in. Incudes: a silkscreened plastic case with elastic closure, 3 paperback journals, 96 pages each, color illustrations. 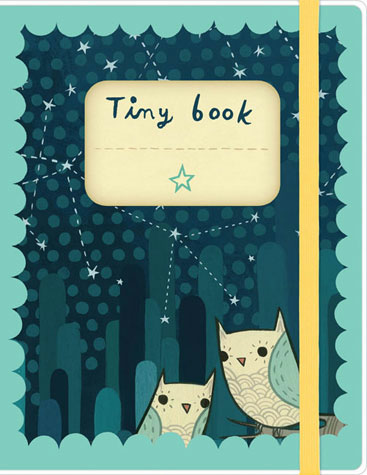 Featuring an assortment of cuddly bears, curious octopi and cute-as-a-hoot owls, the 3 mini-notebooks stored in this stylishly silkscreened, toteable carrying case will win the hearts of journalers everywhere.